We don’t like to think of Majestic Windows & Exterior Cleaning as being old… we prefer to think of ourselves as ‘experienced’! After all, while we’ve always strived to give our customers the best possible results, we’ve become vastly more effective at actually doing so as the years have passed by. Majestic was formed here in Long Island all the way back in 1998, meaning we’ve been providing cleaning services for the good people of Bellmore, Massapequa, Seaford and elsewhere for more than two decades. Over the course of those many years, we’ve consistently noticed an upturn in the popularity of our power washing service as spring has dawned… which is happening right about now, of course! Everyone knows that spring cleaning is a great way to shrug off the winter once and for all, and get ready for the warmer, brighter, and arguably more fun months to come! That’s true, of course, for both homeowners and businesses. The issue is… most people don’t really like cleaning, even if it is important! We may be slightly biased, of course, but we’d say that it’s much more preferable to simply pay somebody else to do the actual cleaning for you… and simply enjoy the results! When it comes to sheer visual transformations, there’s no cleaning service that can compare to power washing. Over the course of the winter months, your property – whether it’s residential or commercial – will have accumulated a whole lot of unwanted substances, whether they be dirt, algae or mold. If your property is located near to the coast – as many are here in Long Island – the buildup will have been even more severe. The good news, however, is that all those months of accumulation and visual degradation can be wiped out extremely quickly, thanks to the modern-day miracle of power washing. Here at Majestic Windows & Exterior Cleaning, we’ve constantly updated our power washing equipment to ensure we’ve stayed on the forefront of current technology. This has allowed us to both achieve consistently better results, and to do so in shorter and shorter amounts of time. Power washing is an extremely powerful service (as the name suggests), but it’s also a very flexible one. It can be used equally effectively on both homes and businesses, and can help to make the spring cleaning of each quick and easy. For both, we can bring our advanced power washing equipment to bear not only on the property itself, but on its surroundings. That includes driveways, outdoor stairs, decks, patios, gutters… and basically anything else you can think of! For your home – whether it’s based in Seaford, Bellmore or Massepequa – a good bout of power washing will instantly make it suitable for entertaining friends and family in the warmer and sunnier months. For your business, by blasting away the dirt which will naturally have built up over the winter, we can make the place seem more inviting and hygienic, helping to both attract new customers and retain existing ones. 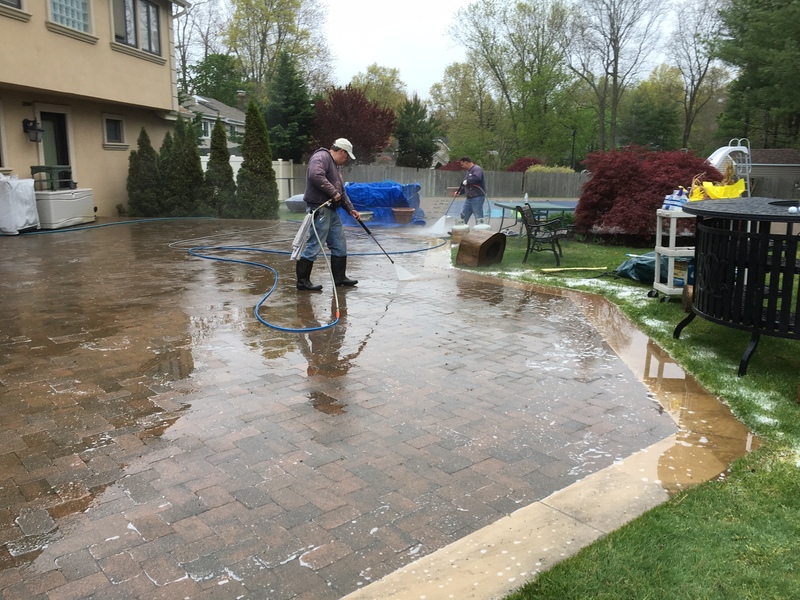 As you can see, power washing really is the ultimate way to kick start your spring cleaning in Long Island. And, here at Majestic Windows & Exterior Cleaning, we firmly believe we’re your top option for doing just that. To get in touch today, just shoot us an email at MikeMajestic66@gmail.com, or call us on 631-421-2295.